Avoid eating junk like French fries and other deep fried items. 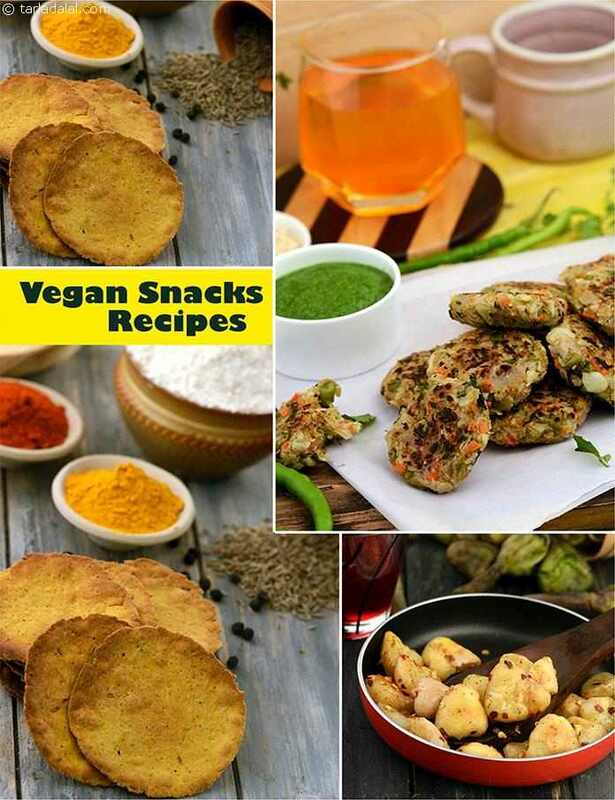 You can include some healthy options like Moong Sprouts Panki, Stuffed Ragi Pancakes etc. These will ensure enough protein and vitamins to keep you going. The recipes in this vegan section are carefully selected and are not only tasty but also very nutritious. Here are some easy to prepare healthy snack options that are free from non-vegan ingredients like milk, milk products, eggs, honey or any other animal product.